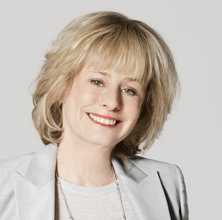 Kathy Reichs has written 18 best-selling thrillers featuring forensic anthropologist Temperance Brennan–and her popular character is also the inspiration for the hit TV show Bones. 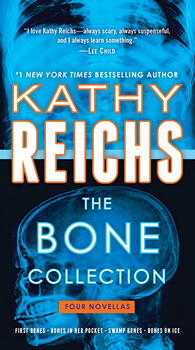 But Reichs’ new book, THE BONE COLLECTION, is something different: a collection of novellas, including one—First Bones—that is a prequel to the Temperance Brennan books, and tells for the first time the story of how Brennan went from the world of academics to using her forensic skills as a crime fighter. Which is much like Reichs’ own real-life story. Reichs herself is a forensic anthropologist who brings her authentic work experience—both in the academic world and being involved in real life crime cases—to her thrillers. She said she has loved working with the TV series, which will complete its final season in 2017 after twelve years on the air, making it the longest running scripted dramatic series in Fox TV history. How did Reichs go from being a forensic anthropologist to a best-selling crime fiction author? She got the inspiration for her first crime thriller, Deja Dead, from a serial killer case she was working in Montreal at the same time she was being promoted to full professor at the University of North Carolina at Charlotte. So she wrote in her spare time until the novel was published in 1997. And what does a forensic anthropologist actually do at a crime scene? Reichs is also the author—along with her son Brendan—of a series of young adult books called Virals that feature Temperance Brennan’s great niece. She said they decided to do the books after noticing that younger people were coming to her book signings and watching Bones on TV. So when Brendan proposed doing a YA series, she recalled, it seemed like a good idea. Kathy Reichs is the author of eighteen New York Times bestselling novels featuring forensic anthropologist Temperance Brennan. Like her protagonist, Reichs is a forensic anthropologist—one of fewer than one hundred ever certified by the American Board of Forensic Anthropology. A professor in the department of anthropology at the University of North Carolina at Charlotte, she is a former vice president of the American Academy of Forensic Sciences and serves on the National Police Services Advisory Council in Canada. Reichs’s own life, as much as her novels, is the basis for the TV show Bones, one of the longest-running series in the history of the Fox network. To learn more about Kathy, please visit her website. R.G. Belsky is an author of crime fiction and a journalist in New York City. His suspense thriller YESTERDAY'S NEWS was published by Oceanview in May. It’s the beginning of a new series featuring TV journalist Clare Carlson. Two of Belsky’s thrillers from the ‘90s – LOVERBOY and PLAYING DEAD – are also being re-released by HarperCollins in December and January 2018. 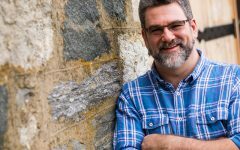 His most recent book BLONDE ICE (Atria- 2016), part of the Gil Malloy series – featuring a New York City newspaper reporter, was a Finalist for the David Award and a Silver Falchion nominee this past year. Belsky himself is a former managing editor at the Daily News and writes about the media from an extensive background in newspapers, magazines and TV/digital news. He was metropolitan editor of the New York Post; news editor at Star magazine; and most recently managing editor at NBCNews.com.